Enhance – We will enhance what we offer to our members by focusing on career-oriented benefits that will help them develop professionally. Exchange – We will provide our members with opportunities to exchange ideas, both face-to-face and online. Encourage – We will actively encourage our members to develop their careers by finding them mentors from within our membership. Empower – We will empower our members, especially our Fellows, to have a greater voice within our profession. Ensure – We will ensure the quality of our membership remains outstanding by extending the peer review procedure that applications receive and by providing online verification of membership. Enable – We will enable members to contribute more to the running and development of the Institution by establishing opportunities for them to help the Institution flourish. Educate – We will continue to educate our members and the wider profession by publishing a learned journal and by developing a Body of Knowledge for the profession. Enlighten – We will enlighten our profession, shaping its development by liaising more with government, academia and employers. Engender – We will engender the spirit of professional duty in our members so that they can evangelise the need for professionalism in the wider IT community. Evolve – We will evolve into a higher profile and more significant specialist professional body by increasing our relevance to our own members, the wider profession and Society at large. Click the image below for a pdf of the 10 Es and feel free to pass it to interested colleagues and friends. 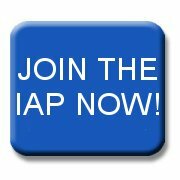 Paul Lynham, IAP Vice-President and Director for Member Engagement, will be contacting members shortly with further information. 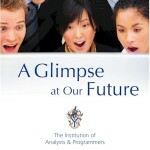 You can contact him at lynhamp@staff.iap.org.uk.